Finishing 37th might not sound all that flash. 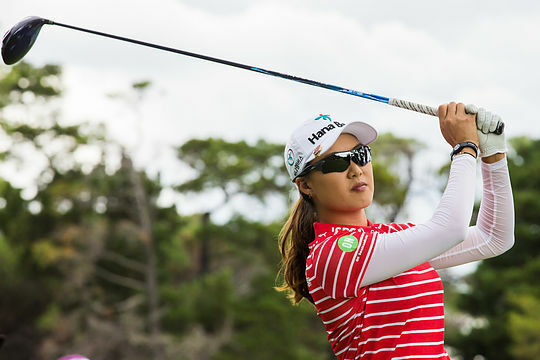 Yet for Aussie golfer Minjee Lee that placing last weekend was enough to cap her best season ever on the world’s richest women’s golf tour, the LPGA as she locked up second spot in the year’s money list. There was just one win but an amazing nine top five finishes for Lee as she banked $US1.55m, an incredible one million dollars behind runaway leader Ariya Jutanugarn. Still only 22-years-old, Lee’s consistency has been her trademark in 2018 although she would have been disappointed with her poor finish behind Lexi Thompson at the final event of the 2018 LPGA Tour season at the CME Group Tour Championship in Naples in Florida. Jutanugarn secured an additional million dollars in bonus money by winning the Race to CME Globe, which is contested throughout the year. American star Thompson scored her first win since September 2017 but it was perhaps the manner of her victory that would be so satisfying for her having led from round two and extended her lead. Thompson finished runner-up in this event 12 months ago having finished just one shot behind Ariya Jutanugarn then. The victory took Thompson’s career earnings beyond US$9 million. Besides Lee’s 37th placing, the other Australians included Katherine Kirk (27th), Hannah Green and Su Oh (tied 48th) and Sarah Jane Smith (62nd).